As I look back on talking with agents here at The Group Real Estate, a small time brokerage selling homes for sale in Idaho, working hard in Idaho Falls real estate, and breaking every mold away from realtor com Idaho, we have a lot of fun talking about the things that we love, including TV shows. Now, if you have been under a rock for the last year and half, the real estate in Idaho Falls is booming, first off, but we also know that Netflix is making the best television out there right now. And the top tier thing they are making, within that realm, is Stranger Things. 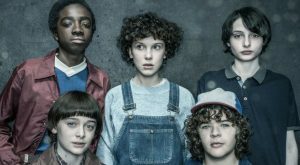 I did a small review on season one, as I had re watched it again, in preparation for season 2. It was great going back through it, making sure I soaked in all the nostalgia moments I could from that first season, leading into the second season. And, boy oh boy, did the second season come in strong and leave another lasting impression on me. Season 2 takes place almost, to the exact time frame, one year from the ending events of season one. We are plugged right back into the wonderful world, and place, of Hawkins, Indiana. Eleven is living in an abandoned cabin, that Detective Hopper has set aside as a place to protect her. Mike, who fell in love with Eleven, is wondering where she is and is trying to contact her on a nightly basis through his walkies. Steve and Nancy are still together, but we all know she is going to end up with Jonathan. 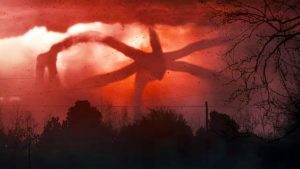 Thus ensues the teen and pre teen drama we need, and love, as we’ve all been there, but Will continues to battle more monsters as he can seamlessly go between our reality and the Upside Down. I won’t get into more of this, as I want you to go and experience it yourself. The first season was an incredible feat, had wonderful character work, but this season really ups the ante on the character development. The progression we see in all the main characters is unbelievable and there was a lot more emotion, horror and heart wrenching moments in this season. The things that Joyce (played masterfully by Winona Ryder again) has to do to her son in order to save him is something that no parent should ever have to go through. The progression of her character in this one, as the mom who would do all she could within her power to protect her boy, is absolutely amazing. There is a wonderful moment with Steve and Dustin, showcasing a great brotherhood with this character, who we were led to hate in the first season, and the way he protects the kids towards the end brought tears to my eyes. And David Harbour as Detective Hopper again, is the best character we have in most, if not all, TV shows of all time. His character development was even better this time, and watching him do whatever he could to protect Eleven and the boys, was amazing to watch. I will warn you that there is one episode that feels wholly out of place, and I think I know what the creators were doing, or wanted to do, but it really was a disservice to the show. It’s the main flaw of this season. 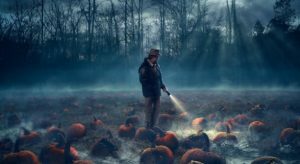 Aside from that, the season is near perfect, as it does a wonderful job with the slow-burn drama, and horror, feel, leading to a finale that is heart pounding, heart wrenching and absolutely tearful and wonderful. Do yourself a wonderful favor, go watch this season. If you haven’t seen season one, start there and feel the love of this nostalgia driven show from the start, and get ready for one heck of a ride with season two. I look forward to whatever the Duffer Bros have in store for season three.